Butyl rubber got its relevance from its use in tire innertubes, an application it is still prominently used in today. It is both air tight and gas impermeable, which are properties that distinguish it from other synthetic rubbers. It has good physical properties including good tear and abrasion resistance. It also has excellent ozone and weathering resistance. Because of its strong physical properties, Butyl rubber works great in shock absorption applications. You will find Butyl often used in shock mounts and vibration dampening across multiple industries. Due to its low permeability to air and gas, you often find butyl used as stoppers for glass bottles in the pharmaceutical industry. This also makes it favorable to be used as the main component of gas masks. 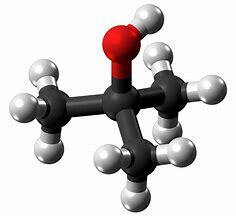 Butyl is not recommended in applications where it is exposed to petroleum oil and fluids.